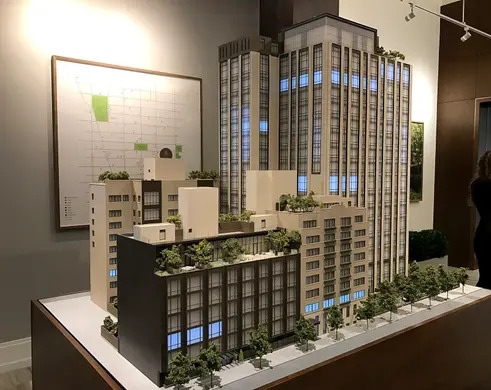 Mirroring the footsteps of Greenwich Lane, downtown’s most successful condo conversion, is Gramercy Square, a huddle of ex-health care buildings reborn as a 223 unit condo development. Each of its four interconnecting structures will provide a distinct take on Manhattan luxury and they will encircle a 20,000-SF garden that covers an equally large amenity club. Occupancy is anticipated for spring 2018 and available units, ranging from studio to four-bedrooms, are priced from $1.4 million for a 12th-floor studio on up to $15.15 million for a high-floor four-bedroom. Situated midblock between East 19th and 20th streets, one avenue east of the neighborhood’s namesake park, Gramercy Square rises from the remains of Cabrini Medical Center which closed in 2008. 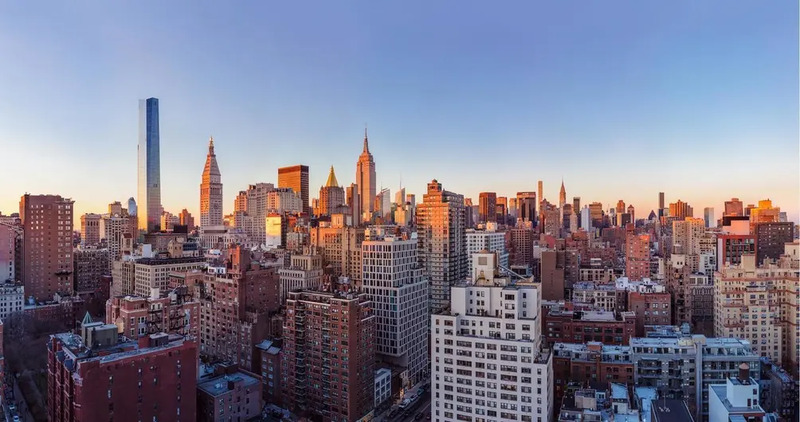 The team of Chetrit Group, Clipper Equity, and the Read Property Group purchased the 1.4-acre property for $150 million from Memorial Sloan-Kettering in 2010 and conceived a 346,000-SF project that would use much the medical buildings’ structural bones. They commissioned the international firm of Woods Bagot to adaptively-reuse three of the buildings and to design another from scratch. 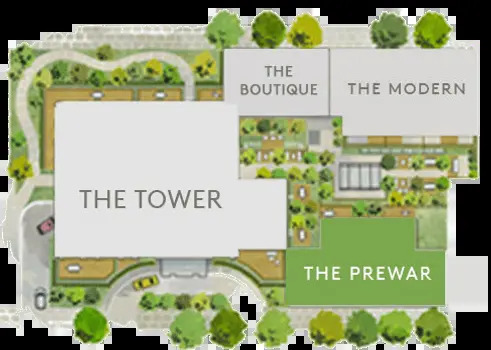 Nicknamed the Tower, the Prewar, the Boutique and the Modern, each building will have their own entrance with a 24-hour doorman and direct access to a parking garage, garden and amenity club. Like Greenwich Lane, the buildings vary in scale and style, and are flavored with unique personalities that cater to a diverse set of buyers. The Tower at 215 East 19th Street is the tallest of the bunch, rising 18 floors and re-clad in cast stone with bronze trim. Its 130 homes will have herringbone floors — white-oak in living spaces, and marble in baths. A large floorplate allows for graciously-scaled apartments, and near floor-to-ceiling windows frame grand views up and down the island. The Tower also has some of the highest ceilings in the complex and all its units recently received modest price bumps. 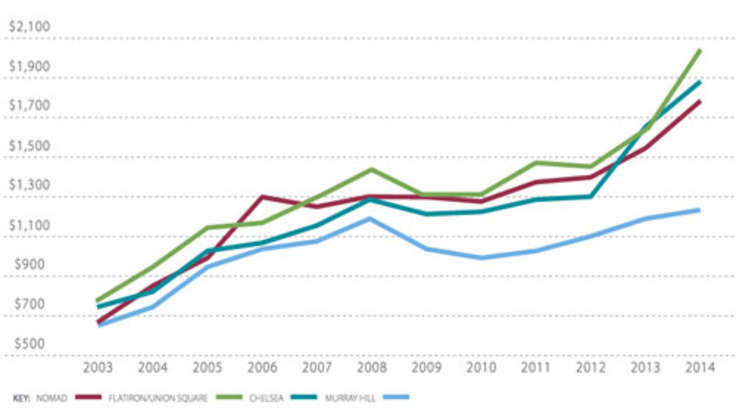 Studios are priced from $1.4M, one-beds from $2.205M, two-beds from $3.25M and three-beds from $4.32M. Our in-house architecture critic, Carter Horsley, says the Prewar at 225 East 19th Street is the handsomest building in the development. Its elegant façade of limestone and honey-hued bricks was recently uncovered. The 48 apartments inside are equally charming, styled with traditional touches such as basket-weave patterned floors and more classic fixtures and finishes. Its five availabilities comprise of one-beds priced from $1.57M and two-beds starting at $2.58M. 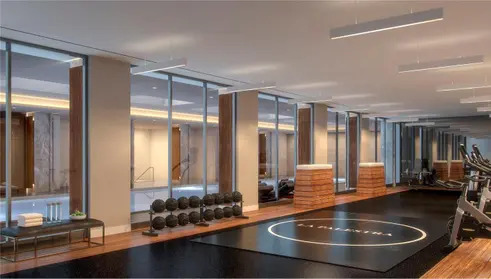 The Boutique at 220 East 20th Street is the project’s third conversion and is said to offer a “kind of a Park Avenue feel” due to its 8 full-floor residences and understated elegance. The homes will all be three- and four-bedrooms with walnut-toned oak flooring and Minimal kitchens with Calacatta marble countertops and backsplash. Apt #7 is presently the sole unit available and is a 3,377-SF four-bedroom with a palatial 44-foot-long great room overlooking E. 20th Street. The development’s only ground-up building is appropriately dubbed The Modern at 230 East 20th Street. The seven-story building recently topped off construction and will soon receive its walls of full-height windows encased in metal trim. Its 37 units, mostly one- and two-bedrooms, have efficient layouts, clean lines, and Minimal kitchens with lacquered cabinets. There are 2 two-bedrooms available in the building priced at $2.25M and $2.35M. At the center of Gramercy Square will be a half-acre of gardens designed by the firm MPFP, the landscape team behind Greenwich Lane's courtyard. 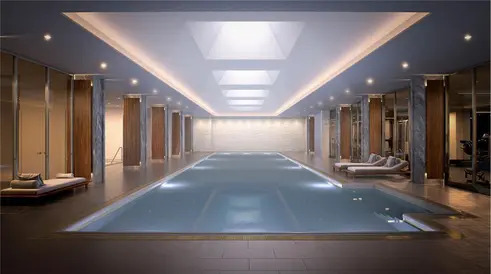 Below will be a sprawling 18,000-SF amenity space called The Gramercy Club, which includes a 75-foot pool, spa and fitness center designed and curated by La Palestra. Other amenities will include a golf simulator and a wine room, on-site valet parking. 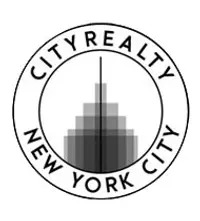 New developments, especially in the condo category, have been relatively rare along the eastern blocks of Gramercy but that appears to be changing. One nearby condo conversion is Rutherford Place, a former hospital-turned-condo where seven available units are priced at an average of $1,576 a foot. Close to Gramercy Square is 200 East 21st Street, a 67-unit condo tower designed by BKSK and developed by Alfa Development. The structure has nearly topped off and sales will launch later this year. 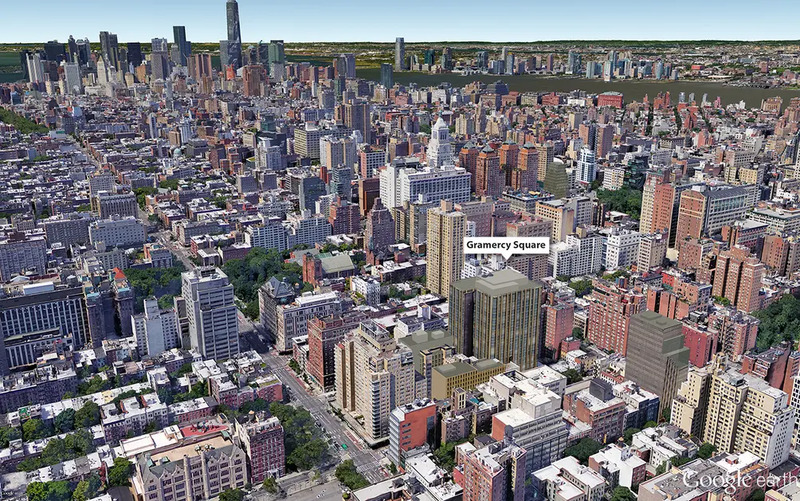 A smattering of new condos have also taken shape along Gramercy's 23rd Street corridor. They include CODA, a 21-floor condo which has one-bedrooms from under $1M, Tempo and Gramercy Starck.